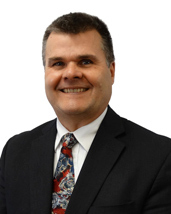 Dan Jaeger has over 35 years of lending experience, with over 5000 real estate transactions. He is happily married with 3 children and 2 grandchildren. Dan is a top producing loan officer and has been recognized as a Five Star Professional by Milwaukee Magazine for the past 5 years. He does both purchases and refinances. With the variety of loan programs (Conventional, VA, FHA, and USDA) offered by MSI, Dan can find a program to meet your individual needs. 99% of his business is a result of referrals from Realtors and past customers. Chances are that someone you know has been a client of his. Dan prides himself in being able to offer great rates and friendly service. This helps make the whole process more enjoyable! Contact him today for all your home loan needs!